I have heard it said that there is no such thing as bad weather, just inappropriate clothing. It’s true. Trust me, you do not want to get stuck wearing suede shoes on a day gone damp and drizzly. Personally, rainy weather makes me want to stay inside, curled up with a good book and a cup of tea. However, just because the weather is nasty doesn’t mean there aren’t places to go and people to see, and we shouldn’t let a little bit of precipitation put a damper on our panache. 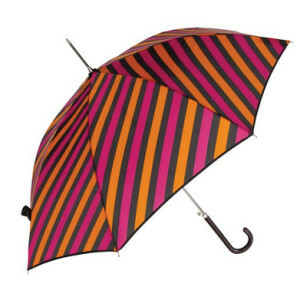 With the right rain gear and accessories, it is absolutely possible to beat the rainy-day blues and stay dry without sacrificing style! Here are some fabulous suggestions to keep you looking chic from point A to point B. 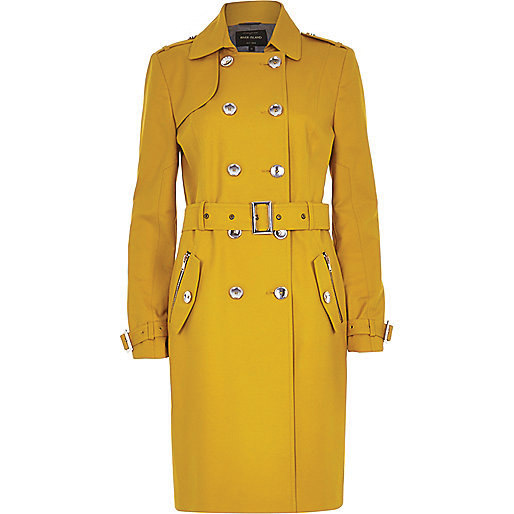 Comfortable and completely chic, this Donatella scroll-printed raincoat by Mycra Pac is an absolute must have! Available at Back Bay Boutique. 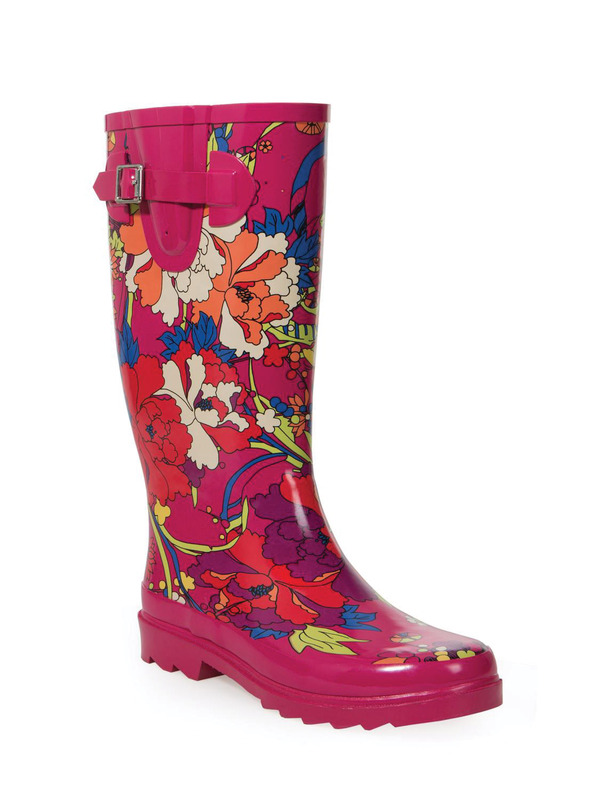 This fun, feminine, floral rain boot by Sakroots will have you hoping for rain so you can show them off as you splash around town! Available at DSW. 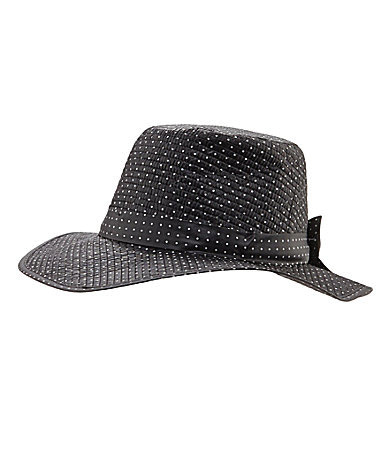 Avoid a rain-soaked bad hair day with this weatherproof, “Drizzle Defense,” dot rain hat by August Hats. Available at Dillard’s. 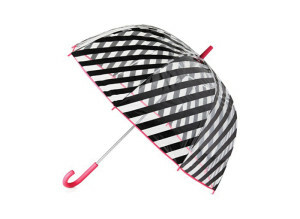 Arm yourself against a downpour with this adorable, black and white striped umbrella by Kate Spade. Available at Macy’s.